Marketing is all about setting yourself apart from your competition and standing apart from the rest. If your contractor direct mail doesn’t pop, it might end up having negative effects when it comes time to calculate your marketing ROI. 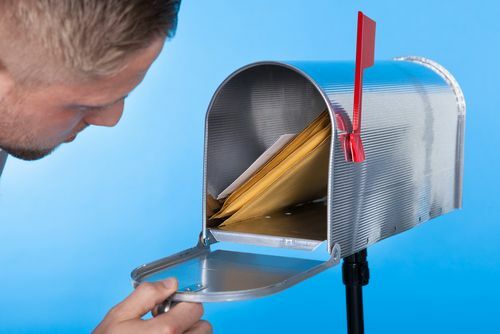 Standard envelopes are the expected item when your customers open their mailboxes, which often means mail that is not a recognizable bill falls to the wayside. Tube mailers are an interesting alternative to the everyday envelope. They are small enough to fit in most mailboxes, but they demand curiosity upon arrival. What better way to show your prospective customers how great you are than by showing them how great you have already been? The days of being required to send DVDs in jewel cases are long gone. Today, you can find standard-sized envelopes made for DVDs, which simply require first-class stamps to find their way to their destination. Show off some befores and afters with tours of homeowner-approved properties to show future customers how you can impact their own homes. If you are working on a contractor direct mail campaign for people who have already requested more information from you, go the extra mile and include a useful gift with your logo branded onto it. People love travel coffee mugs, stress squeeze-balls, and phone holders for office desks (just to name a few items). Useful products help ensure that your customers are seeing your name every time they use your special gift. A little something lumpy usually sparks enough interest for the recipient to open the package. Think keychains or other small tchotchkes. If you have some team members with a little bit of down time, hand-addressing envelopes is a cost-effective way to make a relationship-focused impact. Contractor direct mail campaigns are just one of the many specialties we focus on at Continuity Programs. Check out our full menu of contractor services today!